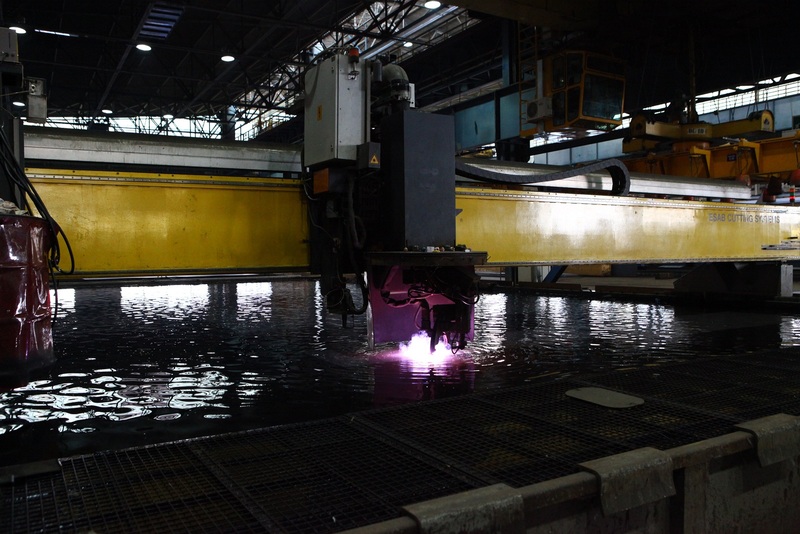 A steel cutting ceremony has taken place at the Fincantieri shipyard in Marghera, Italy where Seabourn Encore is to be constructed. 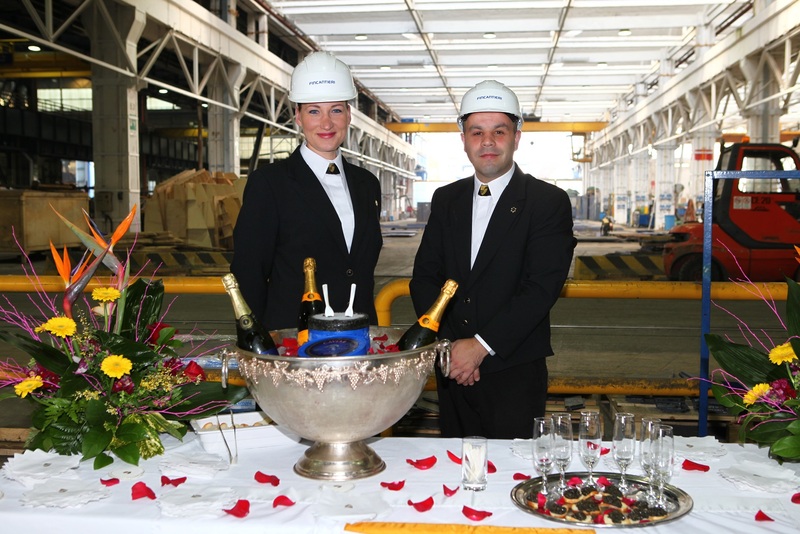 The ceremony was presided over by Seabourn’s President Richard Meadows and Director of Fincantieri’s Marghera shipyard Antonio Quintano. Present at the ceremony were two crew members from Seabourn Legend, the last of the three original Seabourn ships currently on its final sailing under the Seabourn brand. This month the vessel moves across to Windstar Cruises and will be renamed Star Legend. Seabourn Encore will be a 40,350 gross tonne ship with a capacity of just 600 guests based on double occupancy. Delivery of the cruise ship is due in late 2016 while delivery of her sister-ship Seabourn Ovation is due in 2018. 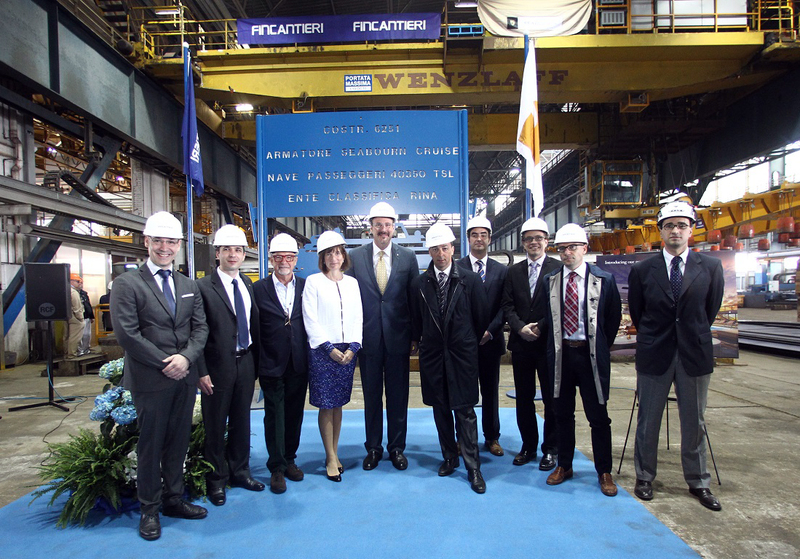 From left to right: Vitor Alves, Newbuild Project Manager, Seabourn; Cyril Tatar, Vice President of Newbuild and Technical Operations, Seabourn; Adam D. Tihany, Designer for Seabourn Encore, Tihany Design; Marnie Tihany, Director of Business Development, Tihany Design; Richard Meadows, Seabourn President; Antonio Quintano, Director of Fincantieri’s Marghera shipyard; James Moore, Corporate Shipbuilding Project Manager, Carnival Corporation; Christopher Prelog, Vice President of Hotel Operations, Seabourn; Marco Lunardi, Fincantieri’s Project Manager of Seabourn Encore; and Ernesto Palmas, Corporate Shipbuilding Manager, Carnival Corporation. Egita Rasuma and Sergio Monteiro, two crew members from Seabourn Legend, the last of the three original Seabourn ships currently on its final voyage under the Seabourn banner. 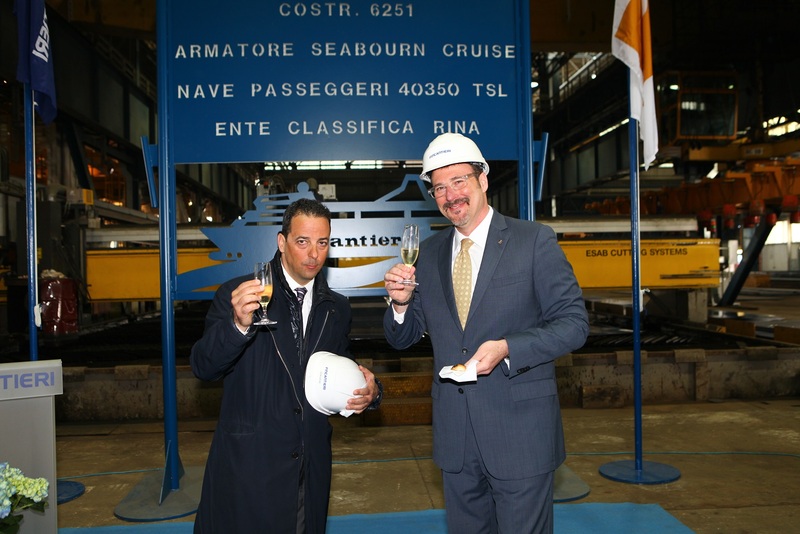 Antonio Quintano, Director of Fincantieri’s Marghera shipyard, and Richard Meadows, Seabourn President.